A wonderful contrast is provided by the Monforte vineyard of Santo Stefano in the hamlet of Perno, whose redder iron-rich clay soils give the Mascarello wine a more savoury and sage character. Indeed while the Castiglione Falletto wines are decidedly more perfumed and flirtatious , with rose petal prettiness, Santo Stefano is more reticent, shy even, preferring to come to life on the palate, where it builds and grows in stature. It’s broader, more tea leaf, mushroomy, seared meat, muscular, brawny even, with excellent development potential. The Wine Advocate - Nebbiolo enthusiasts will be charmed by the 2010 Barolo Vigna Santo Stefano Perno. This beautiful expression offers ample grace and elegance with focused sharpness and a carefully delineated feel. The bouquet reveals tones of wild berry, crushed mineral, white pepper and dried ginger. 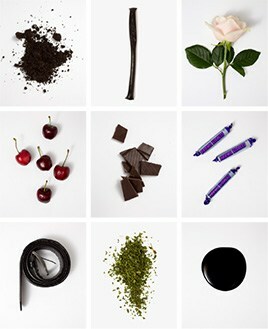 The wine's balsamic characteristics help to amplify its beauty and delicate intensity. Nuanced tones of rose petal and dried violets appear softly on the long finish. Antonio Galloni - The 2010 Barolo Perno Vigna Santo Stefano comes across as austere and stripped of fruit, with a hollow mid-palate and but little in the way of real depth. The long, grippy finish and firm incisive tanins typical of the Barolos of Perno is present, but otherwise, the signatures of this site aren't fully expressive. Note the slightly revised name of this wine, starting with the 2010 vintage: Barolo Perno Vigna Santo Stefano. 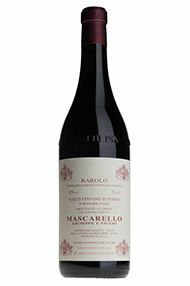 Giuseppe Mascarello e Figlio surely ranks as one of Barolo’s finest producers. The family business dates back to 1881 & to Monforte d’Alba. 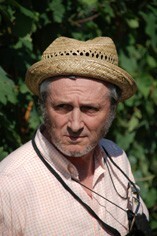 Maurizio (Morissio) bought the Castiglione Falletto Monprivato vineyard in 1904, planting it with the Nebbiolo Michèt clone, before relocating the winery to Monchiero in 1919. Son Giuseppe took over the business in 1923, abandoning the other family business of building materials to concentrate on wine. His son Mauro has been fine-tuning the estate since 1967, notably by lowering the yields, introducing a sorting table to ensure perfect bunches, and by releasing Monprivato as a single vineyard wine from 1970. Since 1996 he has been joined by his son Giuseppe, a wine technician. Mauro’s wife Maria Teresa looks after the books.